As we all know, the only way to truly defend your house against the zombie menace is with a properly prepared HVAC system. Is your home system too old to properly protect your family? Everyone knows zombies can't stand a comfortable, climate-controlled home. The last thing you need is for your HVAC system to break down just as the walkers start lining up outside your front door. So, is it time to invest in a new system? There are a couple questions to ask yourself. Which, coincidentally are also good questions to ask yourself to determine if you should upgrade your system or not. But that's definitely a coincidence. How old is my heating and cooling system? An old system using inferior components is wasting a lot of energy, which means it's wasting a lot of money. Plus, older systems are more likely to break down and cost even more money. Also, breakdowns attract the undead hordes. Everybody knows that. What sort of refrigerant am I using? Old refrigerants can damage the ozone layer and attract zombies like flies to honey. Meanwhile, new refrigerants like R-410A are chlorine-free and don't deplete the ozone layer. Plus, R-410A emits a safe, anti-zombie cloud to protect your home. Probably. Is my SEER rating up to current government efficiency standards? The current Federal Seasonal Energy Efficiency Ratio standard is 14. If your HVAC system doesn't hit 14 SEER, you can save money every year after you upgrade. Also, new 14 SEER systems often uses anti-zombie paint on their exterior. 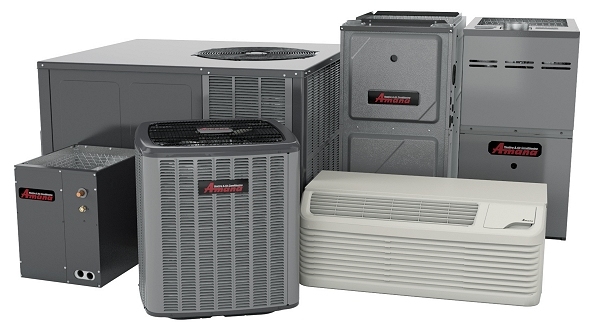 Are you using a properly sized heat pump or air conditioner? Everyone knows that zombies are attracted to homes with improperly sized systems. Get a trusted professional to conduct a Manual J Load Calculation. This will ensure your heat pump or air conditioner is properly sized for reliable air comfort, energy efficiency and won't draw the zombies. 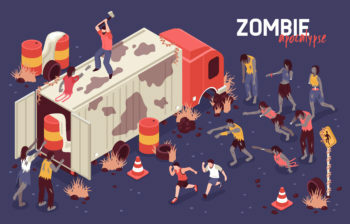 More Anti-Zombie Questions or Comments? Is there more you would like to know about the HVAC-related anti-zombie measures you can take in your home? Or do you want to know if it's time for your system to get an upgrade? Ask in the comments below, on Facebook, or on Twitter!